Our product range includes a wide range of canal lining film. It increases the hydraulic efficiency of canal which reduces evaporation and siltation, in consequence canal is more potent. It prevents breaches in embankments hence the velocity of flow is increased. It provides a stable section to canal. It eliminates soil salinity of cultivable land through which canal passes. It control the weeds growth along the canal sides. It stops seepage loss of irrigation water. Provides high strength and impeccable finish to canal lining. 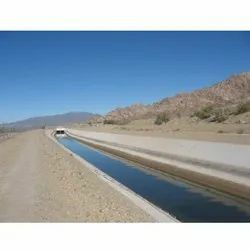 Canal lining film restrain the water logging hence removes the bad effects of water logging. It is of light weight, resist microbial and fungal attacks too.